According to the DMA (Direct Marketing Association), the number of mobile-connected devices exceeded the world’s population in 2014. Resonate with your target audience with QR codes and outbound text campaigns for reminders, updates and announcements. We help our customers communicate electronically with those that raise their hand and say they want to hear from them. 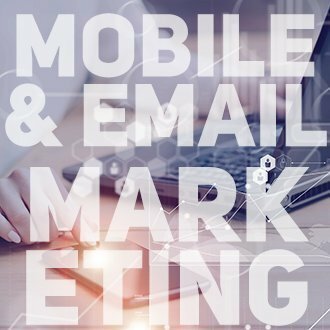 Executing email campaigns to send newsletters, announcements and other relevant information in order to cultivate relationships with their target audience. We create email campaigns with access to response rate tracking. Our dashboards allow our customers to see the results of their mobile and email marketing campaigns in real time helping them to cultivate their database.